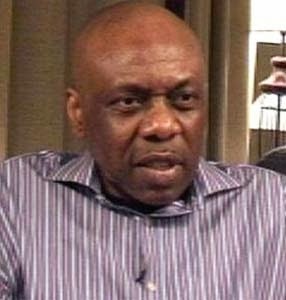 HENRY Okah, sentenced in South Africa to 24 years on terrorism charges, has been caught in a failed jailbreak attempt, South African prison authorities said on Monday. “I can confirm that Okah is one of the five inmates that attempted to escape and whose efforts were foiled,” Manelisi Wolela, spokesman for South Africa’s Department of Correctional Services, told AFP. He did not give details of the attempted escape from Leeukop prison in northern Johannesburg said to have taken place in January. Okah was convicted last year and sentenced on 13-count of terrorism, including twin bombings that killed 12 people in Abuja, Federal Capital Territory (FCT), during the celebration of the 50th anniversary of Nigeria’s independence in 2010. He was arrested, tried and convicted in South Africa, where he has permanent residency. The department said most of the offenders involved in the botched bid to escape were serving life sentences for offences which included murder, kidnapping and robbery. Correctional services officials said security at the prison, which recorded 11 attempted jailbreaks in the 12 months until March last year, had been tightened.